I hope everyone had a lovely Christmas yesterday. We sure did! The highlight of the day for my husband and I, was witnessing our daughter’s reaction as she came downstairs and realized she had been a good girl this year and Santa brought her gifts. 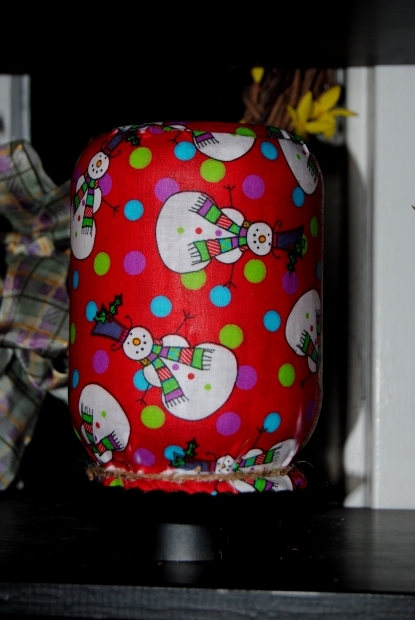 Mr. Claus also brought a special gift for our daughter this year. 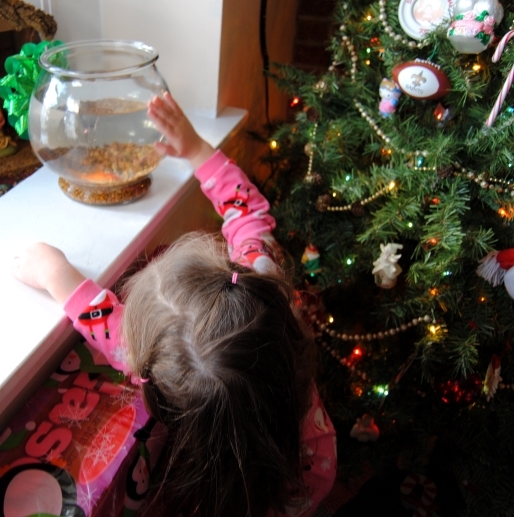 Her very own pet goldfish named “Dorothy” just like Elmo’s pet goldfish! Now it is the day after Christmas, all the preparation and hard work leading up to the holiday and in the blink of an eye it is over and the “clean up” begins. 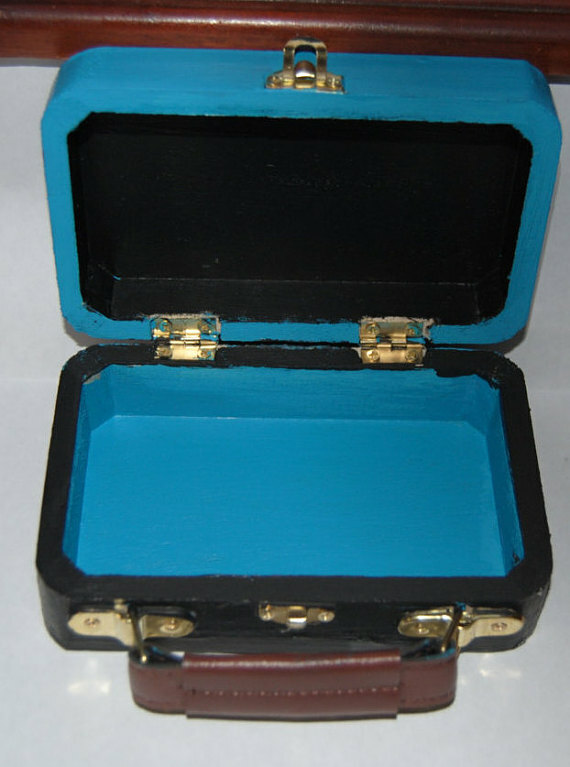 I spent the good part of today cleaning, organizing and trying to assemble my daughter’s new Art Eisel which will be going in the craft room, so she and I can work on projects together. In the meantime, I thought I would share with you two holiday recipes that were crowd pleasers this year. These tasty cookies are my husbands favorite. In 1957 Freda F. Smith of Gibsonburg, Ohio, developed Peanut Blossoms for the ninth Grand National Pillsbury Bake-Off competition. She failed to win the competition, but the cookie took off and landed on many tables throughout America. There are many variations of this cookie online but a great tasty version can be found here. I normally do not make cookies except during the holidays. 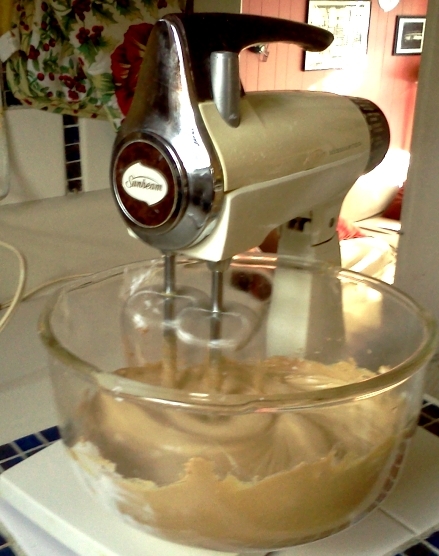 I have a vintage Sunbeam Mix Master stand-up mixer that I picked up at a yard sale about 15 years ago. With the outrageous price of mixers, I will continue to use this 1970’s classic. I chuckled because while watching an episode of “The Brady Bunch” I spotted my mixer in the background! Despite its advanced age it still works and it whipped up multiple batches of tasty cookie dough. 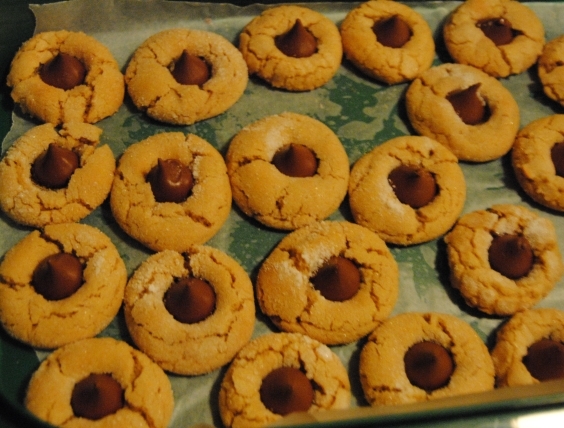 A yummy peanut butter cookie with a Hershey kiss in the middle. 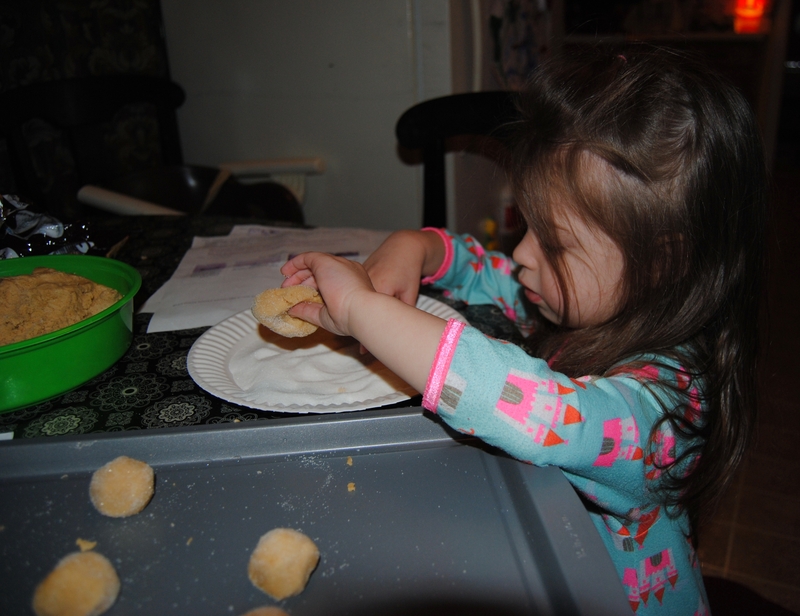 These cookies are easy to make and my daughter enjoyed dipping the dough balls into the granulated sugar. She is such a great helper! So much is focused on Christmas dinner, it is easy to forget about the most important meal of the day breakfast. 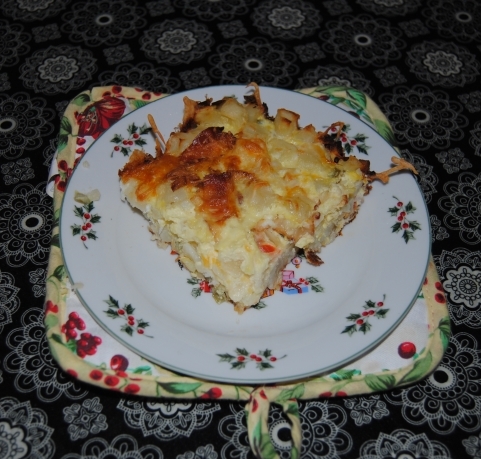 This year I woke before everyone, brewed some coffee and whipped up a mean breakfast casserole inspired by a recipe I saw on Pinterest courtesy of The Wholesome D. I had to improvise a bit, I used cubed hash browns with pepper and onion seasoning and bacon instead of ham. It took less than 5 minutes to prepare and cooked in the oven while we opened our presents. You can find the full recipe here. A great way to start your Christmas day or any day for that matter! 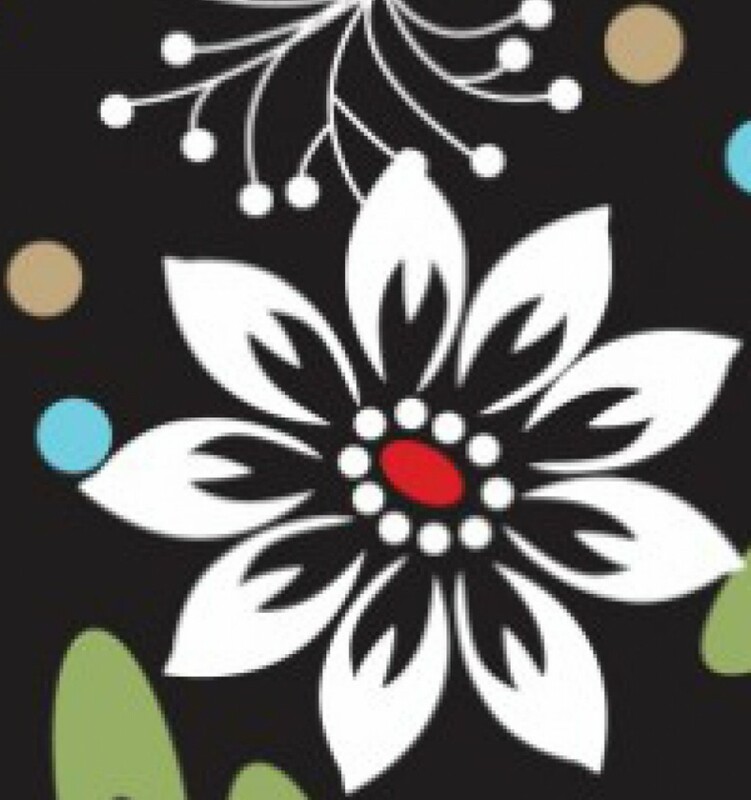 Deck The Halls: The Joyfully Tacky and Downright Different. Wow! 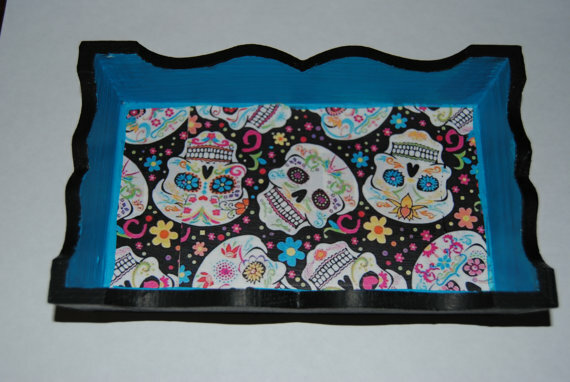 I have not blogged in 5 days! “Sigh” It has been such a busy time for your truly as I prepare for the Christmas Holiday. You certainly wouldn’t know it looking at my extreme blogging inactivity, but some things must remain a secret until after Christmas. 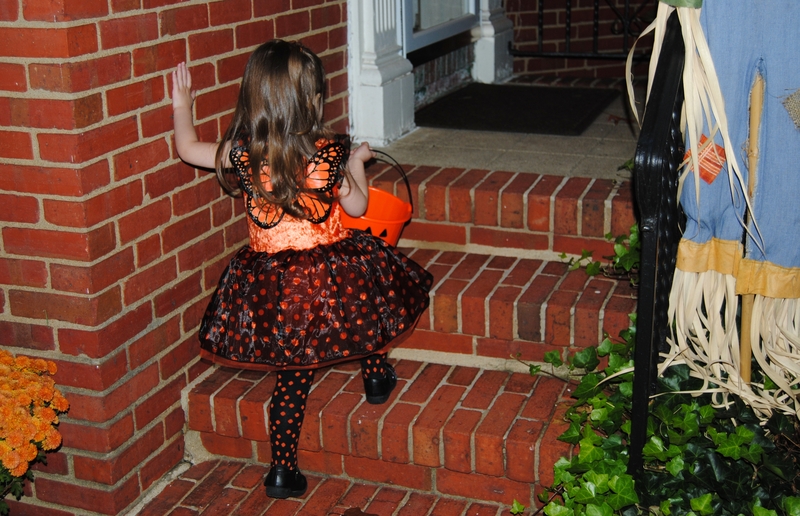 On this day, I will be making my favorite holiday cookies and I am hoping to get my daughter involved in the fun. Stay tuned! 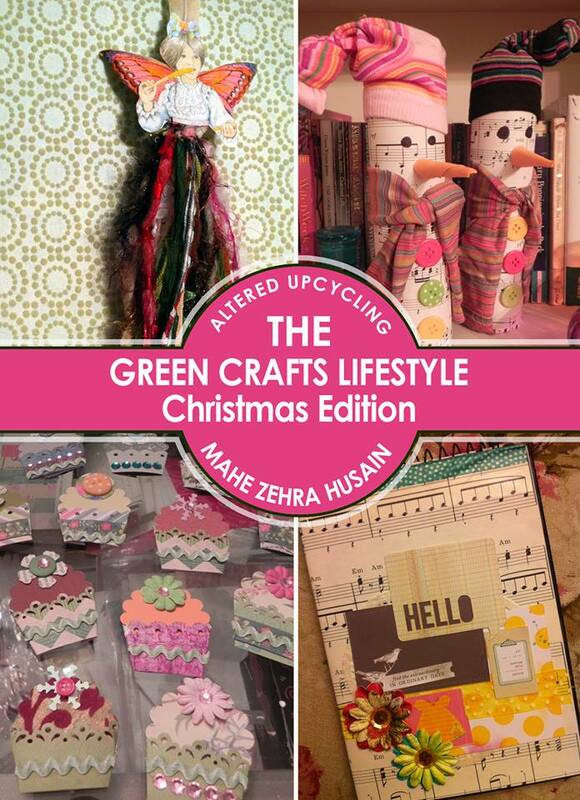 For now, I want to have a little fun “On The Upcycle” and share with you some of our most “interesting” and in some cases downright strange family Christmas decorations. My husband and I have been known to embrace the different, retro, and at times downright tacky, as long as it is in the name of good fun. My husband got this for me about 10 years ago after we adopted our Bichon Frise Casper. The tree is made by the Danbury Mint, (you know those collectable order forms you receive in the mail especially around the holidays?) Even though this looks like a Christmas animal horde nightmare, I love it! 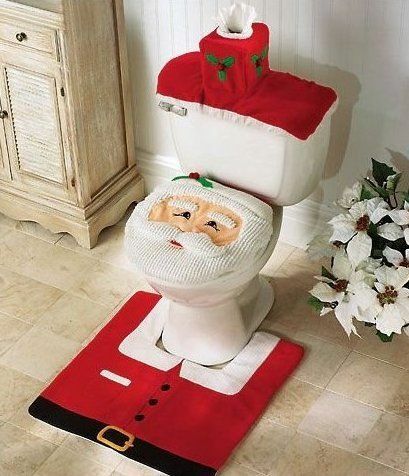 I admit, this one always creeped me out, but at the same time who doesn’t love a Santa Claus tissue box cover! 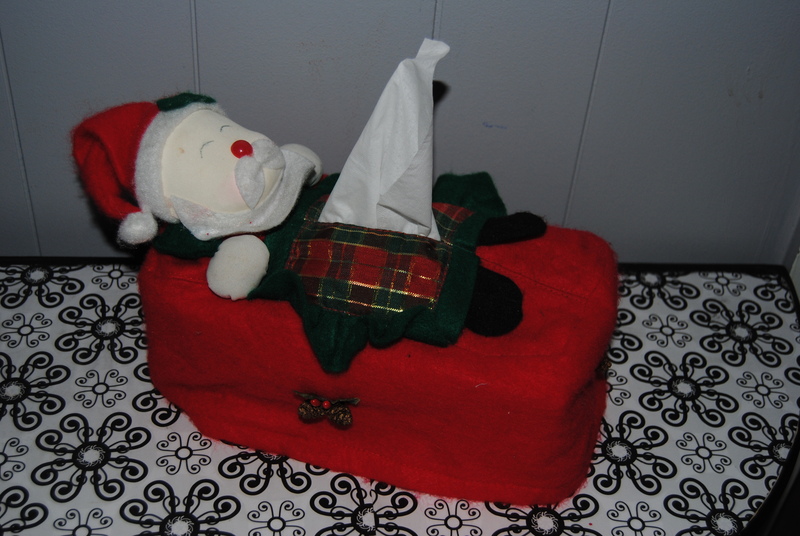 I think if you didn’t have to extract a tissue from Santa’s abdomen, coupled with the fact that Santa looks like he is either in deep sleep or deceased, this decoration would not disturb me so much. 3. Every Girls Crazy bout a sharp dressed Santa! 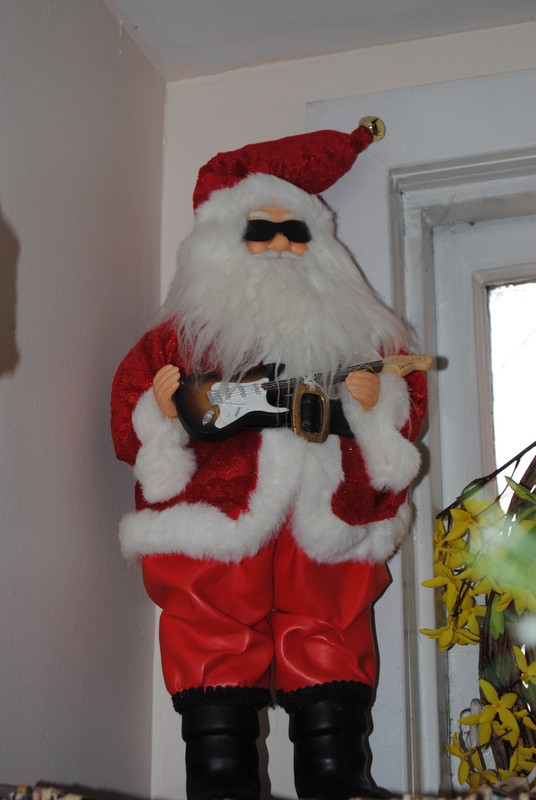 What is better than Santa Claus Rocking out in sunglasses and a guitar? (Ok don’t answer but….) 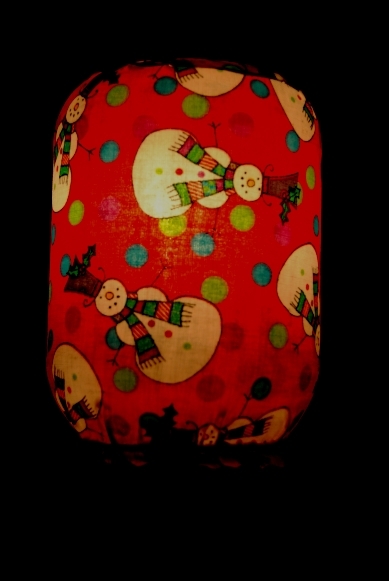 This decoration reminds me of what the members of ZZ Top would look like dressed as Chris Kringle. If the sled is rockin don’t come knockin! 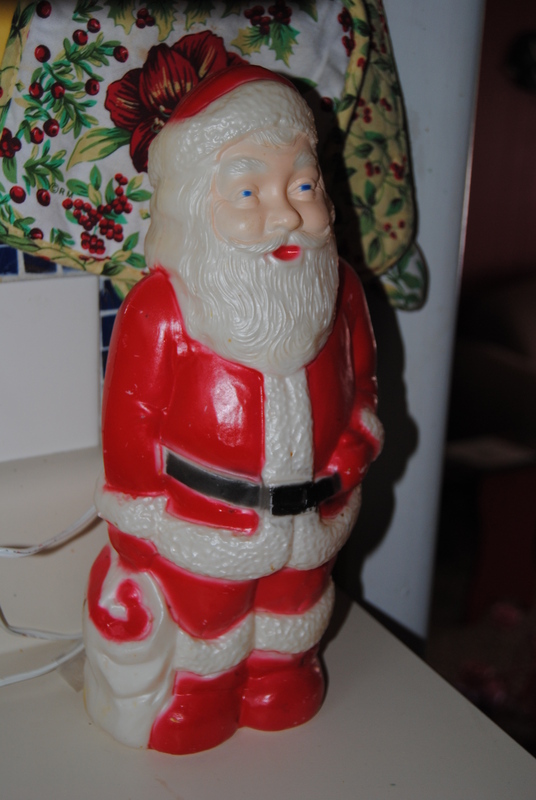 This little light up, plastic Santa has either had too much eggnog or has been hanging out with Cheech and Chong for too long. Whoever painted his face, looks like they were modeling him after the late and great Jerry Garcia! I have to admit I love this jolly old elf on the shelf even if he looks a little too “jolly”! 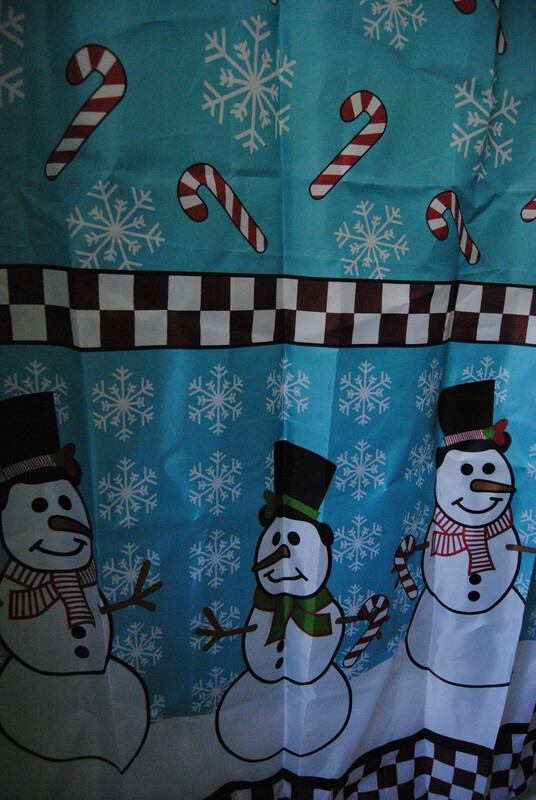 Some would consider this snowman shower curtain as a “bit much” but compared to some bathroom Christmas decorations I have seen this pattern is mild, and forces the loo to have a bit of holiday spirit. 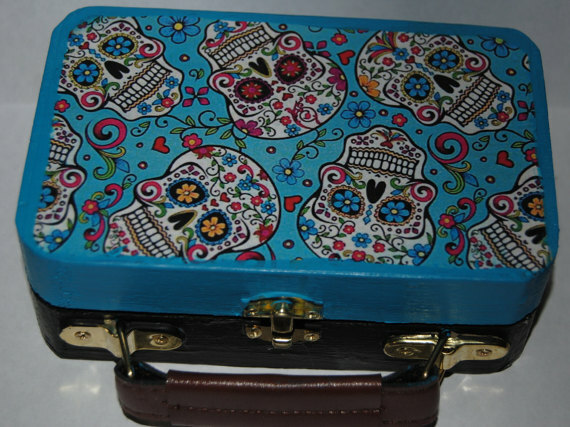 See the above photo found on Ebay and I rest my case. Poor Santa. 6. Deck the halls with Gene Simmons? It is no secret that the hubby and I are Rock and Rollers. My husband has quite a collection of off beat Christmas ornaments. 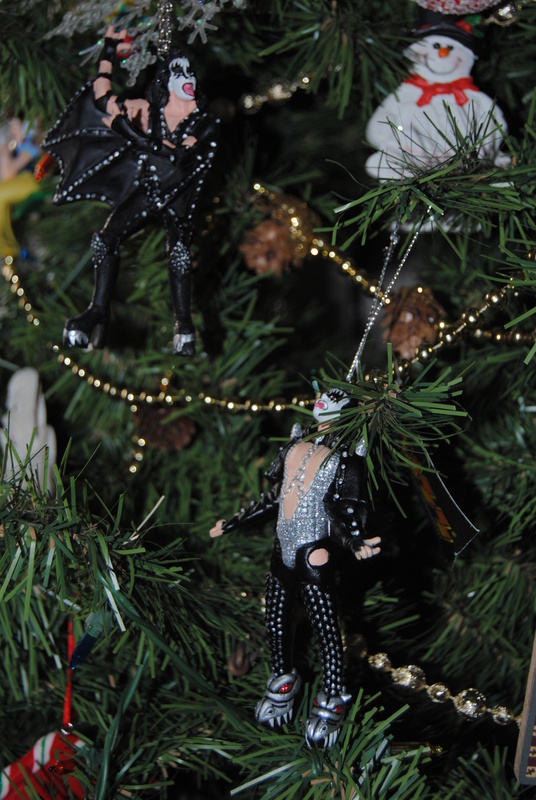 What could be more rock and roll than a decked out Gene Simmons Kiss ornament dangling from your tree? I save the best for last. 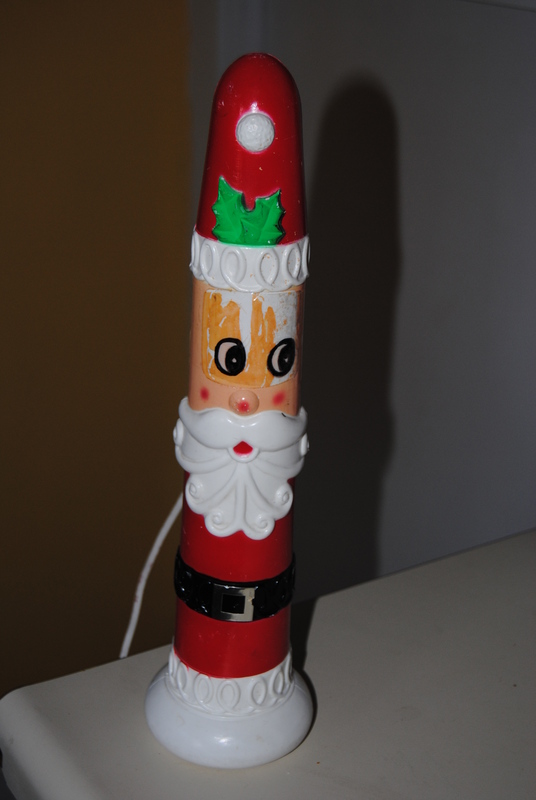 I will allow you as the reader to come up with your own reasons as to why this Santa Clause candle decoration takes the cake. 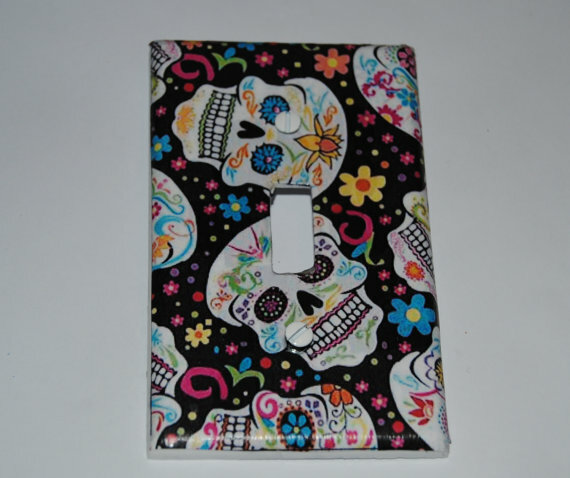 It lights up, it is retro, and it is oddly shaped. Enough said! 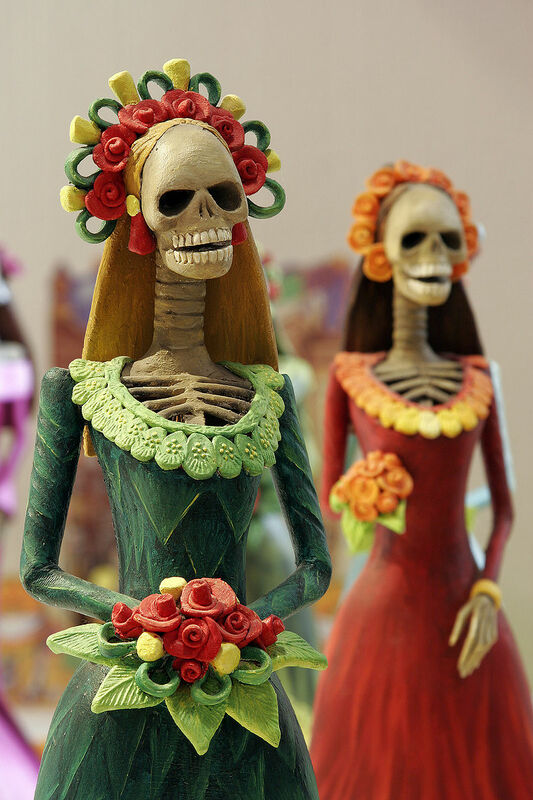 Don’t worry, I will attempt to redeem my holiday decorating reputation in a future post. It’s not all fun and games, but it is eclectic, and I wouldn’t have it any other way! 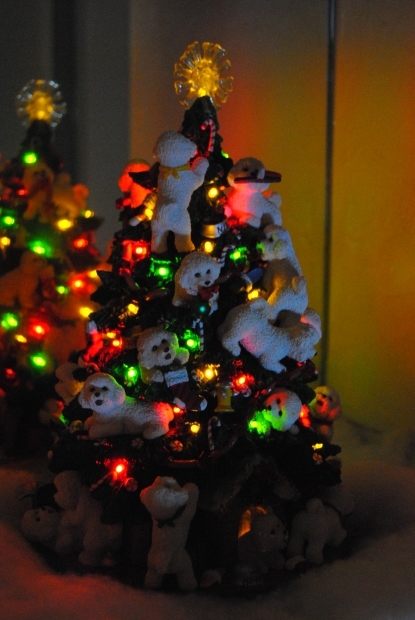 What are some of your most interesting Christmas decorations? Do you display yours proudly?